1. Please allow a minimum of 5 business days from the beginning to completion of your project for best service and lowest costs. 2. 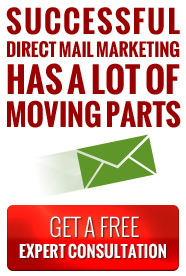 Having a sample mail piece and data in advance can trim 1-2 days off of your project time. 3. When using the LSC mailing permit indicia, postage is due 2 days prior to the mailing date and checks should be made out to U.S. Postmaster. Postage for metering or procuring stamps is due 3 days prior to the mailing date. This postage check should be made payable to the LSC Postage Account. 4. Identify all materials that are included in your project and notify your Account Manager of any changes or delays ASAP, so your mailing can go out on time! 5. When planning your next DM project, consult your Account Manager FIRST. We can help you with your questions, concerns, printing and mailing list -- we offer turn-key services. We are here to help with your challenges before they become problems!